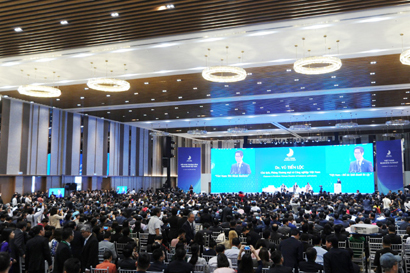 The theme of the Vietnam Business Summit 2018 (VBS 2018) highlights two core advantages of Vietnam in global value chains: Connectivity and innovation, which are also the driving forces for Vietnam's development, especially as Vietnam has become an important destination and the first destination in the "new southern policy" being pursued by many countries. 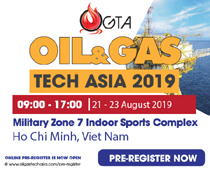 This information is revealed by Dr Vu Tien Loc, President of the Vietnam Chamber of Commerce and Industry (VCCI), at the press conference prior to the VBS 2018, themed “Vietnam - We Mean Business Partners: Connect & Innovate”. 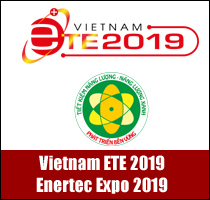 The event will be organised by VCCI on September 13, 2018 in Hanoi. Quynh Chi reports. You have said that Vietnam is on the first in the list of countries in the “new southern policy". Could you tell us more about this, and what are Vietnam's advantages when it comes to attracting foreign investment? There are two principles in selecting business locations by transnational corporations and investors: (1) enabling business environment and low cost, and (2) risk dispersion. In the past time, investors had invested much in China - a big fledging market where the cost of doing business was low. But, the cost is rising at a rapid pace for the time being. Recent trade conflicts and China’s strong penetration into other markets will result in trade barriers to goods from China. International corporations are tending to choose different business locations with lower costs and averted risks. Therefore, the shift of investment projects from China to other areas such as ASEAN countries is an important direction. Many Japanese, South Korean and Taiwanese companies, among others, have adopted the so-called the “new southern policy". 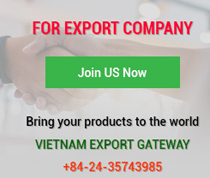 At that time, Vietnam is the first place of choice for investors since it is near China, an open market, connected to the world with many free trade agreements. Vietnam can be a suitable place to export products to China and other countries in the world as well. Vietnam has many advantages such as political stability, a large market with over 100 million people, a young labour force, and relatively low labour costs. If Vietnam improves its infrastructure, it can make the market more connected and costs lower. With such advantages, the country can completely be an important destination for transnational corporations when they go south. Last year, when Japan External Trade Organisation (JETRO) conducted a global survey on Japanese companies, nearly 70 per cent of businesses in Vietnam planned business expansions in the next two years, while other ASEAN countries saw less than 60 per cent having this intention. Particularly in the Chinese market, this rate was above 40 per cent. 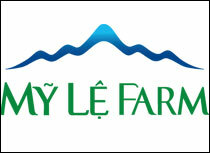 With the highest score worldwide, Vietnam is a place of interest for investors. VBS 2018 is considered an opportunity for businesses to upgrade business quality. How can enterprises upgrade their performances and what factors can improve their business quality in Vietnam? To upgrade enterprise scale and business performance in Vietnam, it is necessary to have “two hands clapping together”, or, it takes two to tango: The role of the Government in business climate improvement and the effort of the business. Like other resolutions of the Government, Resolution 19 states an important mission: Vietnam must achieve the average level of business institutions, business environment quality and its competitiveness on par with Top 4 ASEAN economies. We base on the ranking of the World Economic Forum (WEF) to set goals materialised to every ministry and to every administrative procedure. In 2013, tax and insurance administrative procedures took 876 hours a year, compared with the ASEAN average of 171 hours. At that time, the Government required bringing the time to the ASEAN average in 2016, and the Ministry of Finance immediately embarked on this goal. Other ministries and sectors also had similar targets. This year, the Prime Minister and the Government requested all ministries and sectors concerned to streamline and reduce by at least 50 per cent business conditions and cross-sectoral administrative inspection procedures to facilitate business development. At present, ministries and branches are actively implementing this target, although they failed to complete the draft scheme to be submitted to the Government by August 15. This move is of paramount importance for improving business quality. When creating a favourable and fair business environment, competition will be encouraged. WEF attending companies, policymakers, politicians and businesses will discuss how the Government and its policies improve the business environment. Vietnam also has a cooperation agreement with WEF on enhancing the business environment. Accordingly, WEF helps the Vietnamese Government gain new experience, knowledge and vision to improve its business environment. Attending companies themselves can grasp global economic trends, new tech trends and new business and governance models. This helps companies restructure their governance apparatus and access new technologies to raise their competitiveness. They can meet with global partners to discuss import, export and investment projects and create market resources for better competitiveness and business performance. This is a positive result for both the government and the business. Hopefully, this summit will positively help enhance the competitiveness of the Government and enterprises in Vietnam. This summit features gender equality and empowerment of women. Could you please tell us about women’s contributions, and the effectiveness of their contributions, to business? How has the Vietnamese Government encouraged women to break barriers to development? Vietnam has policies on women’s empowerment and women's engagement in all economic and social fields. Currently, among every 10 businesspeople in Vietnam, there are three women. This is a relatively high rate in the world. In the Vietnamese legal system, women-led enterprises or enterprises employing many female employees have priority for credit access, market access and support programmes for women entrepreneurs. 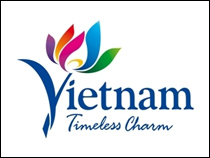 VCCI also has the Vietnam Women Entrepreneurs Council, which conducts a series of activities to enhance competitiveness for women-owned enterprises, improve their knowledge, management and access to finance. This meeting highlights gender equality. Last year, the APEC Summit in Vietnam talked about dynamics of the world economy as well as micro, small and medium enterprises (MSMEs) and women-led enterprises. Vietnam also joined APEC leaders in documents and joint statements on this issue. VCCI initiated the establishment of the APEC Women Entrepreneur Network, which is now highly appreciated by the APEC Business Advisory Council (ABAC), and working with China, Malaysia and other partners to quickly form the APEC Women Entrepreneur Network. Recently, VCCI also supported the establishment of the Women Empowerment Foundation led by Ms Ha Thu Thanh, Member of the Executive Committee of VCCI. Ongoing awareness and solutions are being promoted at different levels, with the first being legal policies, support programmes and specific activities.